Reduces hook and slice spin - Softest multilayer golf ball available for long and straight distance. Purchasing Bridgestone e6 Straight Flight customized golf balls is the fair way of achieving pro results without dishing out a ton of green. 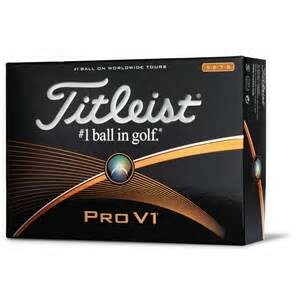 We offer the finest quality golf balls at the cheapest prices. Give your golf balls that personalized touch! At Golfballsgalore.com we offer you customized logo options—a fantastic gift and an ace in the hole approach to marketing your own business or club. Eliminate hooks and slices with the Bridgestone e6 Straight Distance golf ball. The softest multilayer golf ball on the market, designed to reduce spin for straighter distance with every swing. Larger Dual Dimple technology reduces drag for more speed and increased lift. Starting Price is $30.95 for 12 to 23 dz. There are no setup charges when you send us electronic art work. A $25.00 set-up fee will be charged if camera ready artwork is not supplied. The prices shown for each category are for 1-logo per ball with up to 5 colors. Normal: 5-7 business days after artwork approval plus in-transit time. Rush: 3-5 business days after artwork approval plus in-transit time.